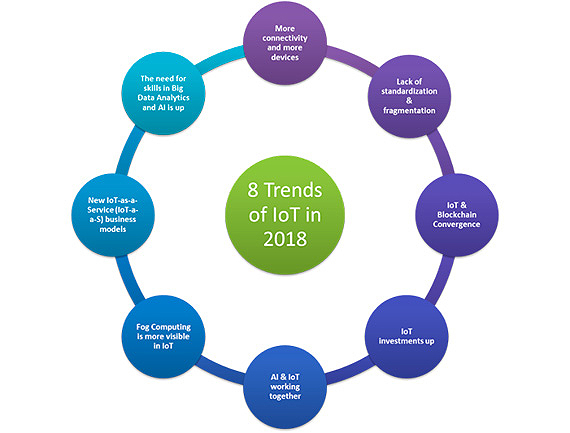 The Internet of Things (IoT) is an ever-growing network of physical objects that feature an IP address for internet connectivity, and the communication that occurs between these objects and other Internet-enabled devices and systems. IoT has been forecast to deliver up to $11 trillion to the global economy by 2025 and up to $120 billion annually to the Australian economy in the same time frame. It’s predicted there will be up to 30 billion connected IoT devices by 2020 and 300 billion by 2030. By 2022 IoT will save businesses and customers an astronomical sum of $1 trillion a year in maintenance and services. Some of that will start happening in 2018. Posted in IoT and tagged Internet of Things, IoT.